On 09th and 10 May 2013th in the premises of the Serbian Ombudsman the conference under the title "The participation of civil society and experts in the performance of NPMA - Experiences and Challenges" within the project "Together against Torture", which is funded by the European Union through the European Instrument for Democracy and Human Rights EIDHR was held. The conference was attended by representatives of NGOs of Serbia and of the region and many national and international experts organized by the International Aid Network (IAN). 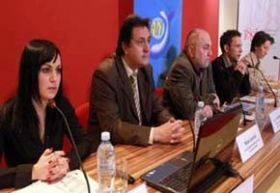 Organized by the International Aid Network, a Platform of cooperation of civil society organizations in the performance of the National mechanism for the prevention of torture was presented on 7 February 2013. , in the Press Center of the Association of Journalists of Serbia. 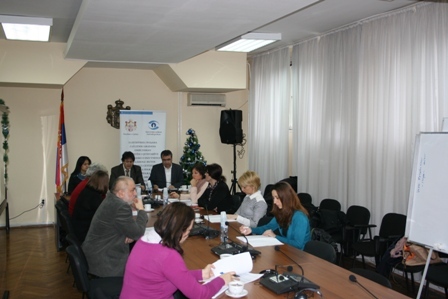 On 24 January 2013 in the premises of the Ombudsman, the common meeting was held between NPM and representatives of SPH "Sveti Vračevi," SPH "Dr. Slavoljub Bakalović" as well as with representatives of the Ministry of Health.